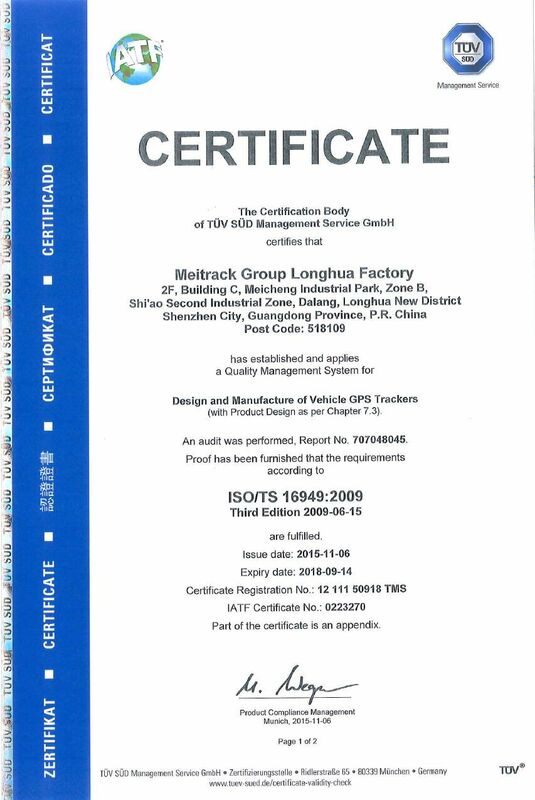 Meitrack Group, an industry leader in innovative and superior GPS products and integrated tracking solutions, today announced that its Longhua Factory has been awarded an ISO/TS 16949 certification. The ISO/TS 16949:2009 certification is a globally recognized automotive industry standard awarded by the International Automotive Task Force (IATF). 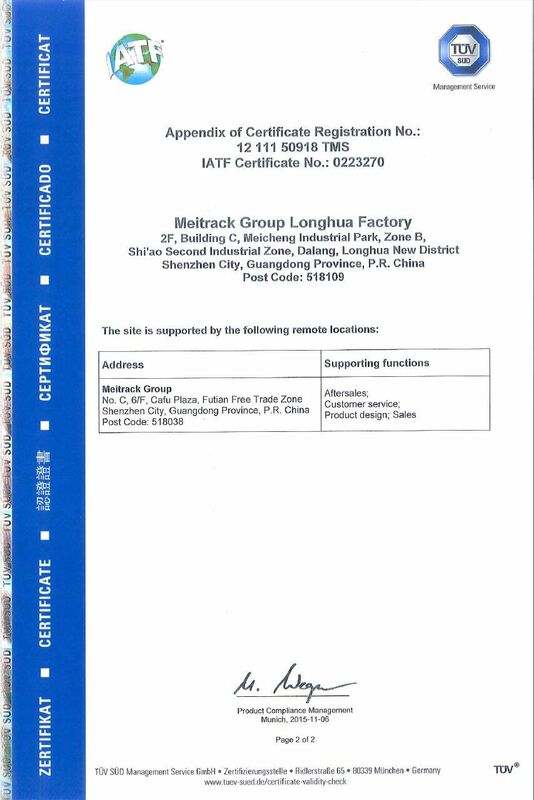 It defines the quality management system requirements for the design and development, production and installation, and service of products related to the automotive industry. This standard follows the outline of IS09001:2000 with added automotive specific requirements. We look forward to continuously providing high quality products according to the quality management system outlined in ISO/TS 16949:2009.